A Georgia federal judge ruled in favor of Democrat Stacey Abrams’ campaign, ordering election officials to review thousands of provisional ballots that have not been counted in the contested election for governor. U.S. District Judge Amy Totenberg, a New Yorker serving on the Atlanta-based court, issued a 56-page order that could potentially affect thousands of provisional ballots in Georgia's race for governor. 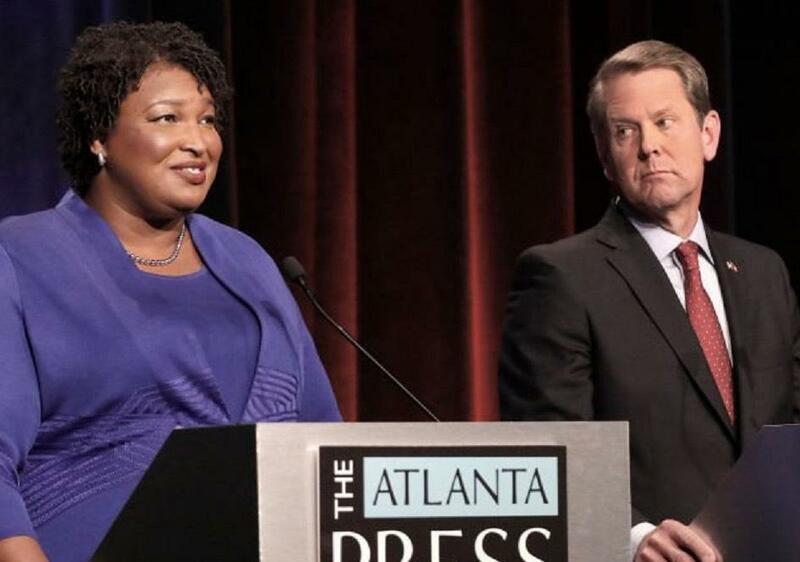 However, Democrat candidate Ms. Abrams would need to gain more than 20,000 votes to force a runoff against Republican Brian Kemp. According to the official statistics published on Georgia Secretary of State's website, Mr. Kemp is currently leading with 50.3% of the vote versus Ms. Abrams' 48.8%, which translates to fewer than 59,000 votes out of the 3.9 million that have been cast. Democrat volunteers in the state have been calling all week seeking details of any voting problems, and Ms. Abrams, a very high profile candidate for the Democrats who was also endorsed by celebrity Oprah Winfrey, sent repeated fundraising pleas to supporters insisting the race isn’t over and she still needs their backing. How the hell can they get away with this? She's holding on to her delusion harder than she holds on to her EBT Card. And Q said the elections were secure. Bahhahah!!!! How can we trust anything out of a few certain counties? I think the counties in question should not be included and let the voters personally sue Snipes for loosing their voice in this election. So Ga. may yet have a Court appointed Lesbian Governor.